Since 2005, McGuire Lending Group has been a mortgage lender serving the lending needs of home owners and home buyers in Illinois and Florida. Our hands on approach helps each of our clients understand the mortgage process while feeling like we are right by their side each step of the way. Now more than ever it is important to have an experienced mortgage team helping you through the home loan process. You can trust our team to be responsive to your needs and offer you the right loan, at the right price. We get the job done well, and with personal attentive, knowledgeable care...treating each customer like they are our only client. This is one of the reasons McGuire Lending Group is strongly endorsed so often by customers and community leaders. Why Choose The McGuire Lending Group Team for Your Home Loan? Roger is a down-to-earth, extremely knowledgeable professional who made the usual pain of getting a home loan a walk in the park. He constantly kept us In the loop in regards to all intricacies of the loan process as it trudged along. I have to say that my wife and I thought it was the easiest part of buying our new house. I would wholeheartedly recommend Roger to anyone trying to buy a house or refinancing a home loan! Roger has been amazing to work with over the years. We worked with him and Mid American Mortgage on our very first mortgage eleven years ago, and he has proactively worked to help us save money over the years. We've refinanced 2x since then and he has answered all our questions and works closely with us to make sure we understand all the details. Mid American Mortgage is an honest company that really cares about their clients. The customer service at Mid America Mortgage is superb. I called Marci to ask a question. She called me back and to my surprise she was calling from Brazil. Marci made certain Roger received my message immediately in order to address my concerns. That's what I call great customer service!! Roger and his staff were professional and answered any questions I had regarding the home buying process. I closed on my home in about six weeks with no problem. The experience with you and your office staff was "first class" Roger. Your team was there to help me and answer any and all questions every step of the way! I really like your follow up and weekly call to reassure me that that everything is progressing smoothly. Thanks again for your honesty, integrity and direction when it came to getting our mortgage through your company! I give Mid American Mortgage my highest recommendation! Roger and his team were an instrumental part of my home buying process. They were there every step of the way and provided constant communication and reassurance to my family. I highly recommend him and will continue to work with Roger and Mid American Mortgage for all of my mortgage needs. I was a first time homebuyer and Roger was extremely helpful and walked me through every step from day 1 all the way until the day of my closing where he showed up to say congrats! He set me up with a realtor and gave me tips to improve my credit score and he also explained all of the different loan options so I was able to make an educated decision. Roger and team made the process effortless and stress free and I appreciate all of their hard work!! Roger McGuire helped my husband and I obtain the best rates for our original mortgage 8 years ago and subsequent refinancing on our home. His professionalism and knowledge are outstanding. Roger and his team clearly and patiently explained all the details and steps of the process so we felt comfortable making big financial decisions. Roger keeps in touch and checks in with us a few times each year because he's a class act. He's someone we trust and refer to family and friends. Roger helped us through our first home purchase and was always available to answer any questions I had. I could text him anytime and even when I texted him on a weekend (and wasn't expecting a response until Monday) he would always respond right away and try to answer any questions he could immediately. He was very knowledgeable and I would absolutely use him again for any future mortgage needs. Roger is very thorough in his explanations and goes at a pace that makes me feel comfortable. He and his staff respond quickly via email and phone and they are all very friendly and knowledgeable. I never had a doubt that we were getting the best deal and customer service throughout the entire process. Roger recommended a mortgage that fit my personal situation and needs. I felt he really listed to me and assessed my goals before recommending a product. He and the team were very good about keeping me updated throughout the process so there were no surprises and I knew what was going on every step of the way. Roger and his team are always wonderful to work with. They respond to questions quickly and Roger always goes into great detail to ensure we understand everything. We have purchased and refinanced with him, and both times he went above and beyond to make sure everything went the way it should; especially with our refi. I always felt like he had our best interest at heart and that's what makes him and his team the best! I recommend them to everyone! Roger and his staff were great to work with! As first time home buyers, we didn't know a lot about the process. Roger took time to explain our different options and helped us choose the best fit for us. He was always very prompt and the weekly updates were so helpful. We never felt rushed and he explained everything so we had a good understanding. Thank you to Roger and his staff for the experience so smooth and pleasant! Roger is not only knowledgeable about his industry but also friendly and warm when communicating. He make an experience that could be very stressful, like refinancing your home, seem manageable and like he is on your team 100%. Thanks Roger! Mortgage loan programs are constantly changing and evolving to reflect current market conditions. The mortgage lenders at McGuire Lending Group will be able to help you determine which program best suits you. Here is a list of our most common purchase loan programs. Jumbo loans are loans for a home that is priced higher than loan limits set in place by Fannie Mae or Freddie Mac. Most Jumbo loan limits are $417,000. McGuire Lending Group also offers refinancing options for home owners looking you pay off their existing mortgage and replace it with a new mortgage that typically has a lower interest rate, term period, or monthly payment. Please call us if you have any questions about our loan products. The McGuire Lending Group team is licensed to lend in all areas of Illinois and Florida. If you have any questions, call our Illinois office at 630-971-1901 or our Florida office at 941-212-2665. The first step to getting your mortgage is to get pre-approved. You can start the process by clicking the Apply Online button below. 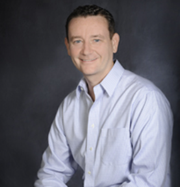 Roger McGuire is the Branch Manager of McGuire Lending Group and is one of less than 1% of loan originators with the Federal designation as a CRMS (Certified Residential Mortgage Specialist). He is a licensed loan originator for the state of Illinois (NMLS# 213837) and can handle any residential refinance or purchase loan.